While the BMW X3 and Audi Q5 lap up all the kudos, the Acura RDX quietly has emerged as a sales champ among compact luxury crossovers. In two generations, Acura has sold nearly 400,000 copies of its smallest SUV. Now Acura is eager for a little more attention, which explains the time and brainpower it lavished on its 2019 Acura RDX. With the new RDX, Acura has developed a new architecture and kept it to itself—for now, at least. It’s adopted the best small-displacement engine it could source from inside Honda, and coupled it to a 10-speed automatic. It’s grown larger, quieter, more spacious, and more informed thanks to a completely new infotainment system. So, is it better—and more to the point, has it risen to the ranks of rivals like our favorite luxury 5-seat crossover, the Volvo XC60, or the X3 and Q5? By Acura’s own reckoning, styling held back some interest in the old RDX. Consider that box ticked with the new RDX’s planted, creased new body. 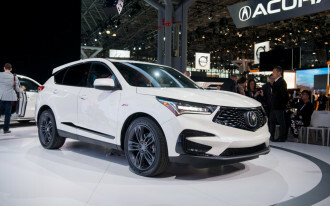 Behind a big pair of Acura calipers and a starburst grille, the 2019 RDX carves out a snappy new look, with an on-trend floating roof and swaggy air curtains around its wheels. The reformatted style pairs with a cabin awash in olive-ash wood and aluminum, or on A-Spec models, red-and-black leather and suede. 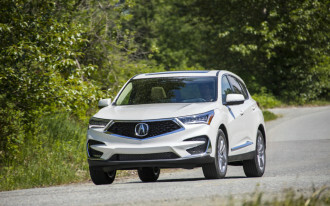 There’s no more V-6 in the RDX; Honda’s 272-horsepower 2.0-liter turbo-4 guts out its 280 pound-feet of torque from 1,600 rpm, while a 10-speed automatic jumps down four gears at a time with a few taps on its paddle shift controls. It’s happiest when held in the default Sport mode, and so were we as we cruised Rocky peaks around Whistler, British Columbia. The RDX’s wider track, available three-mode shocks, and torque-vectoring rear axle gives it the unruffled, absorbent ride to match its smartly tuned twin-pin electric steering. Dynamically the RDX has never been this good, though BMW’s sportiest X3 still grips the road with more authority. On its new architecture the 2019 RDX grows between the wheels by 2.6 inches, and the back seat’s no longer shy on leg room. 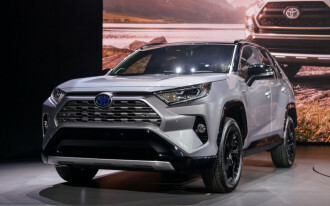 The available 16-way front seats cup passengers like sportsball mitts, but the rear bench needs more padding for taller passenger comfort—when it’s not folded down for expansive cargo space, that is. The 2019 Acura RDX comes standard with automatic emergency braking, and nearly every version has blind-spot monitors. No crash-test data exists just yet, though. Every version also gets a panoramic glass roof, a 10.2-inch screen wedded to a new touchpad interface that vaults past Acura’s gruff old knob-driven system, a power tailgate, and 19-inch wheels. From that base spec of about $38,000, a loaded RDX Advance is priced from under $49,000 and offers a surround-view camera system, 16-way cooled front seats, 710 watts of 16-speaker sound, and Apple CarPlay (Android Auto is on hold while a touchpad interface is coded). 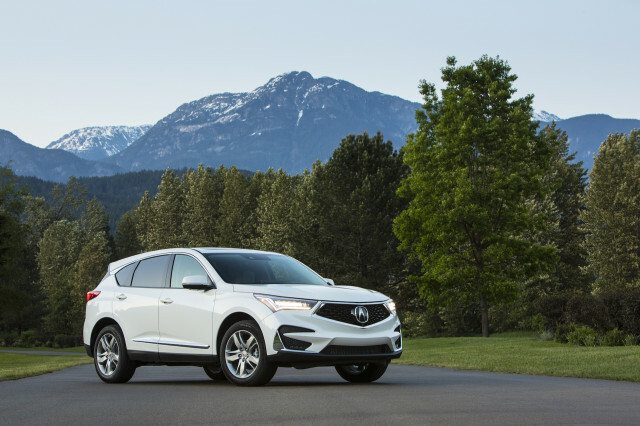 The new 2019 RDX touches all the bases, and significantly upgrades its performance, both in a straight line and in the twisted strands between. It steps out of the MDX’s shadow, and proves that sometimes, a clean-sheet approach works best. 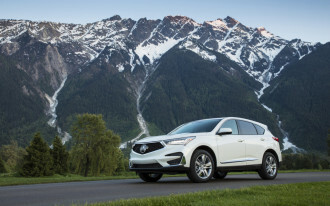 For in-depth driving impressions and details, read our full 2019 Acura RDX review.